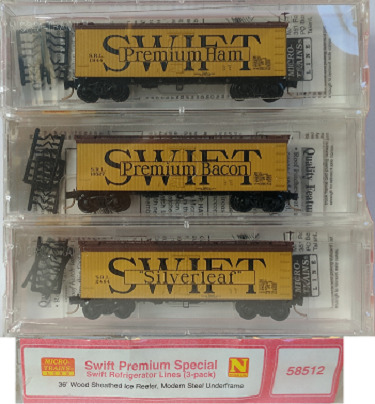 Central Hobbies Micro-Trains products 050 00 000 to 059 99 999 (old 5xxxx series). 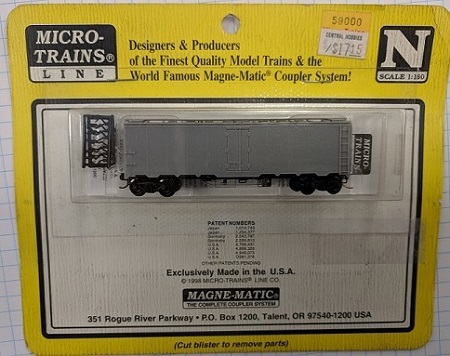 This Page covers model series 050 00 000 to 059 99 999 (old #50000 to #59000). 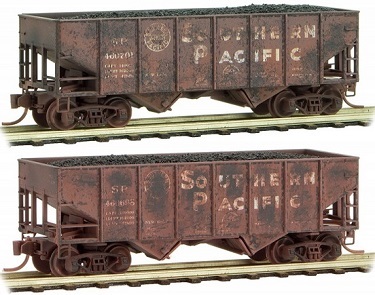 054 00 000 61' 8" Bulkhead Flat Car. 056 00 420 2013-08 Penn Gas Coal Co.
56300 Mar 96 Chicago, Burlington & Quincy "Burlington"
56300 D 03-96 Burlington (CQ&Q) red. - 2nd hand. 058 00 040 2015 Oppenheimer Casing Co.
058 00 090 2009-11 Mandan Creamery & Produce Co.
059 00 140 2005-09 Needham Packing Company Inc.
059 00 161 2011 National Packing Co.